This holiday itinerary combines the best of cruising, outstanding destinations and an introduction to the Classics. This itinerary has something for everyone, regardless one's particular interest. In all, you'll have bustling cities, great shopping, classical sites par excellence, and a multitude of shipboard activities, all at a relaxing pace and in total comfort. Following your explorations of Venice, your cruise will include the opportunity to see the immense variety of the Eastern Mediterranean. 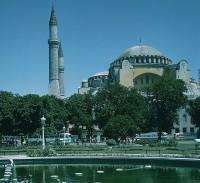 From tiny, sparkling Santorini to exotic and hectic Istanbul, this combination of destinations is an unbeatable winner! Classical sites will include optional excursions to Olympia (from Volos), site of the first Olympic Games, and to Ephesus (from Izmir), one of the most complete archaeological sites in the world. Once in Athens, we have two excursions included, the Classical City Tour with the Acropolis and the New Acropolis Museum, and a fantastic day tour to the outstanding and important site of Delphi. 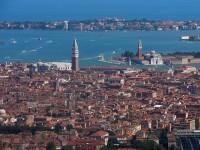 Arrival at Marco Polo International Airport in Venice and transfer to your hotel. Your first day is free to explore the magical city of Venice. For your first day, stay on land and visit St. Mark's Square and its surrounding areas, and have dinner near the Grand Canal. Overnight Venice. 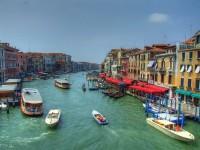 After breakfast, begin to explore the beautiful treasures of Venice. Don't miss the Doge's Palace dating to the early 14th Century. A stroll through the main streets of the city will bring you to the many, many chic designer boutiques of all of the famous Italian designers. You'll see many shops selling the incredible masks for Carnivale, which make memorable keepsakes for a lifetime. Overnight Venice. After breakfast, you'll have the morning free for last-minute shopping or exploring. After check-out at your hotel, transfer to the port to board your cruise ship for the start of your 8-Day Cruise to Greece & Turkey. Your ship departs Venice at 17:00. You'll have dinner on board during your sail along the east coast of Italy. Overnight on board. Arriving at Bari, the second largest city of Southern Italy and one of its largest ports, you'll have four hours to explore the city and perhaps do some shopping. Overnight on board. Early afternoon, your ship will arrive at Katakolon, and you'll have the opportunity to explore nearby Olympia, site of the first Olympic games. Many of the ruins are in excellent condition, including the theater/stadium, and this vast site will take the better part of the afternoon to explore. Overnight on board. Your early afternoon arrival at Santorini will give you an excellent opportunity to acquaint yourself with this gem of an island. There are a variety of half-day excursions available should you wish to make the most of your afternoon visit. Overnight on board. Early in the morning, your ship will arrive at the port of Izmir, Turkey. There are two excursions offered, one to Pergamum and the other to the fantastic archaeological site of Ephesus, one of the seven ancient wonders of the world. We consider this visit one not to be missed, especially if you're interested in history. Overnight on board. Early morning arrival at Istanbul, the magical city spanning two continents. Visiting the magnificent sites of Hagia Sofia, the Blue Mosque, Topkapi Museum, and the spice market in the Grand Bazaar. Cross over the Bosphorus and immerse yourself in another culture. It's hard to define Istanbul. Perhaps we could say, it's a bit of the west combined with the orient. Whatever your definition, it is an alluring destination with a vibrant big city atmosphere. Your ship will stay in port until the early hours of the following morning. Overnight on board. Departure from Istanbul will be around 02:00 in the morning. An all day and night sail follows, with plenty of time to enjoy your shipboard activities. Overnight on board. Early morning arrival at the port and City of Volos, a vibrant city and capital of the prefecture of Magnesia, in the region of Thessaly. 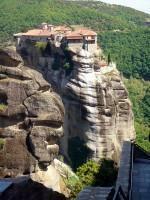 There will be an optional excursion to the magnificent and breathtaking area of Meteora, with its many monasteries clinging to the top of the incredible rock structures. You'll have a full day to explore Volos and its environs, with departure at approximately 18:00. Overnight on board. Your ship arrives to Pireaus at approximately 08:00, where you will be met by our agent and transfered to your hotel in central Athens. You'll have the day free to begin to explore this exciting and vibrant city; we suggest that you start in the pedestrianized zone of Plaka, the old section of center city. Overnight Athens. 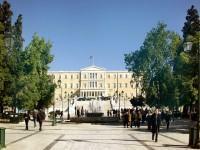 Today, you have an early morning start to begin your guided excursion of the principal cultural and historical sites of Athens City. 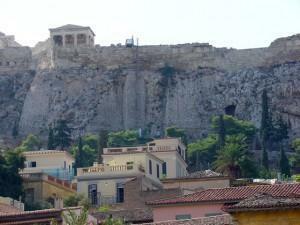 The tour culminates at the magnificent Acropolis and includes the outstanding, world-class New Acropolis Musem. 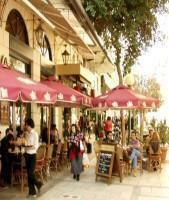 You'll have free time in the afternoon and evening for shopping in some of the main shopping areas of Athens, Ermou Street, Monastiraki, and chic (and expensive) Kolonaki. Overnight Athens. Starting off early morning, enjoy your beautiful drive through the fertile plain of Beotia, crossing the towns of Thebes, Levadia and Arachova (short stop on the way back). Arrive at Delphi, the center of Ancient World, the Navel of Earth. On the slopes of Mount Parnassus, in a landscape of unparalleled beauty and majesty, lie the ruins of the Sanctuary of Apollo Pythios. Visit the Treasury of the Athenians, the Temple of Apollo and the Museum containing such masterpieces of Ancient Greek sculpture as the bronze Charioteer and the famous athlete Aghias. 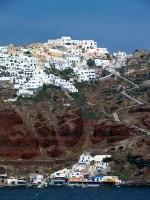 Lunch in the modern village of Delphi, return to Athens by the same route. Overnight Athens. After breakfast, our representative will meet you and transfer you to the Athens International Airport for your return flight home.